After a rather lengthy battle voicing their displeasure of the Cards Unbound feature in Paladins, the community for the free-to-play hero shooter can finally be at ease, as very recently, the newly appointed executive producer for Paladins, HiRezChris, revealed that the controversial feature added in the OB64 patch will finally be omitted from the game in the near future. To replace the Cards Unbound feature, HiRezChris goes into detail that the game will be seeing the return of the deck building point system that was in the game previously. However, it seems that the much preferred old deck build system will seeing some sort of twist being put in it. An example of this new twist that will be making it’s way to the game in the near future, is that players will have 15 points to allocate this time around instead of the previous 12 as well cards being capped at level 5. Legendary Cards will now be called Talents. Talents will only have a single level. Talents will be unlocked for free by earning XP and gaining Champion levels (for example; level 1,5,10,15). All Champion Cards will now be free (No cost or grind). Deck creation will return to a point system where players can distribute 15 points across the five cards they select for their loadout. Each Champion Card will have five ranks to choose from. Talents will not have ranks, and are not included in the loadout point cap. Talents and Decks will continue to be chosen at match start to allow players to tailor their playstyles based on their opponents. New Talents will be added over time and give further varied playstyles. Champion Mastery will no longer be capped at level 25. Instead, it will work similarly to Player Account leveling (which has no cap). Card chests will be removed from the game. 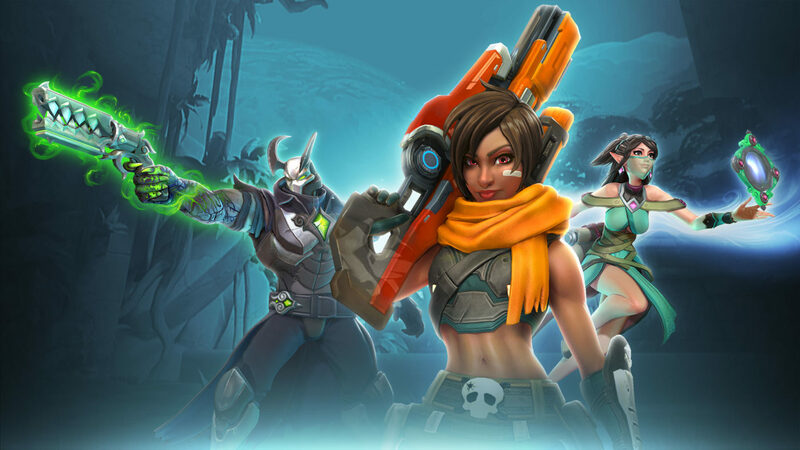 Aside from making a big change to the game itself in the near future, it seems Hi-Rez Studios is also reworking on the recently released Battle Royale mode for Paladins “Battlegrounds.” Among these aggressive changes that the playerbase can expect is that Hi-Rez Studios will be making the game mode available as it’s own stand-alone client once it is re-released. Overall, it appears that Hi-Rez Studios is finally listening to its community when it comes to Paladins to make the game more enjoyable experience for everyone.